With this amazing The Centaur Bloco foam building set you can follow the instructions to create 4 detailed Centaurs or let your creativity take over and create Centaurs based on your own imagination! 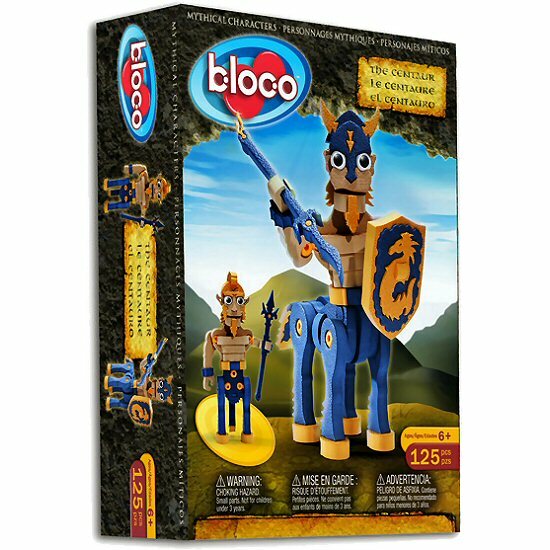 And once you've constructed them, these Bloco Centaurs are durable enough for imaginative play and adventure. Maybe your imagination takes you on a Harry Potter adventure or you take a magical trip to Narnia where the loyal Centaurs are friends for life. The ability to take the Centaurs apart and start again provides hours of creative construction and play. The Centaur is a magical creature... half man, half horse. 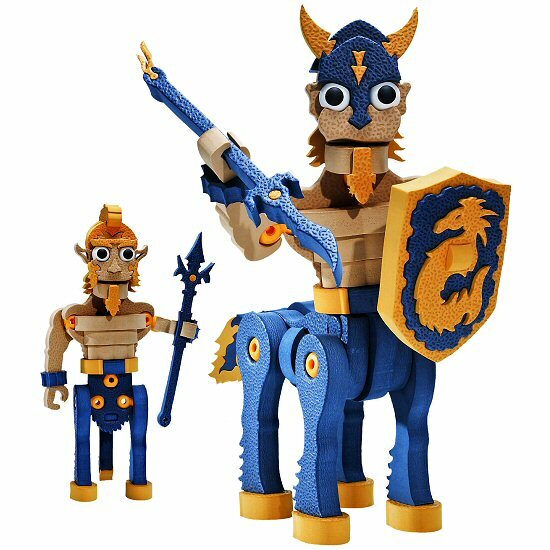 Bloco Toy lets you use different parts to build a centaur the way you imagine it. Bald headed and pointy eared? Shaggy haired or helmeted? You decide what your Centaur looks like. This The Centaur construction set can be combined with other Bloco foam building sets to create even more interesting creatures.